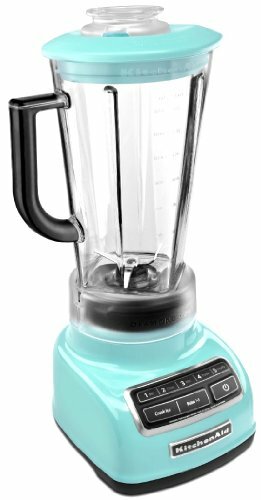 KitchenAid Blender ksb1575aq , Aqua Sky Color. The KitchenAid Diamond 5 Speed Blender provides exceptional performance. A robust motor (0.9 HP), unique one-piece, BPA-Free patented diamond pitcher, patented stainless steel blade and electronic controls combine to create an exceptional blending system. Five speeds, along with Crush Ice and Pulse mode (all speeds) provides consistent, powerful blending for all tasks. The Automatic Start and Stop Crush Ice mode pulses at staggered intervals to uniformly crush a pitcher of ice in seconds. Intelli-Speed Motor Control automatically adjusts the blade speed to blend through all densities of food, at peak power, even when the thickness of the ingredient changes. Soft Start Feature helps prevent splattering. Durable Steel reinforced coupler with 12 interlocking teeth provides direct transfer of motor power to the blade. The one-piece, universal lock-in place 60 oz BPA Free Diamond pitcher with patented blade is shatter resistant and dishwasher safe (both racks). Pitcher features a comfortable non-slip grip handle, venting cap and stay-put lid with 2 oz. ingredient cap. Die Cast Metal Base. Control Panel with White LED lights make it easy to choose your designated speed and wipes clean easily. The Soft Start® Feature starts the motor at a slower speed to pull food into the blade then quickly increases to the selected speed setting. Control Panel with White LED Lights The Clean-Touch Control Panel wipes clean easily. The 60-oz. 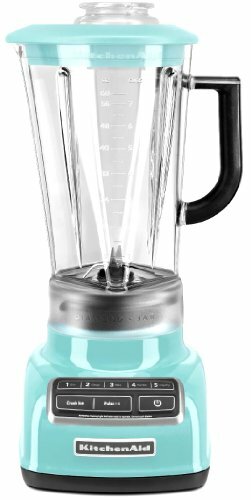 BPA-Free patented Diamond Pitcher design is shatter-, scratch- and stain-resistant and is dishwasher safe for easy cleanup. Steel-Reinforced Coupler provides direct, efficient power transfer from the motor directly to the blade for robust blending. The coupler is coated for quiet operation. The Die Cast Metal Base is sturdy.